Shri Mangal Mandir Silver Spring Trust was established in August 1980 subsequent to the Bhagvat Saptah, with the primary objective of building a Hindu Temple (Shri Mangal Madir Silver Spring ) in the Metropolitan Washington area and to help preserve the rich heritage of the Hindu Religion and to reaffirm in the community the high values of life that they have always believed in. On Sunday May 22nd, 1983, Shri Mangal Mandir Silver Spring Trust organized the Bhoomipujan ceremony. 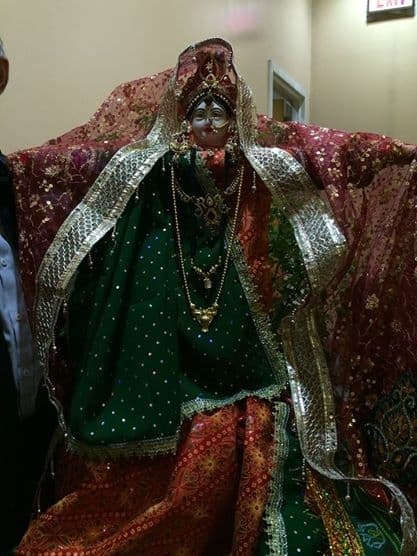 A beautiful five acre lot on New Hampshire Avenue near Ednor Road in Colesville, Maryland was consecrated for the Mangal Mandir construction. Despite the steady drizzle on that day , Mandir Mandap (tent) was packed to capacity by about 1200 devotees. Sant Shri Keshavda of Washington, D.C., His Holiness Sivya Subramaniya Swami of Hawaii and Priyadarshi Ashokaji of New York graced the occasion. 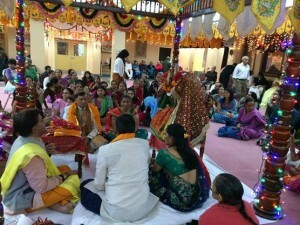 After the Ganesh Puja, Shantikaran Yagna and Bhoomipujan, the devotees were blessed by three Gurudevas. Each in turn presented a short discourse on Hinduism, the need for a temple in Washington area and most importantly the benefits that it will offer to all the generations of Hindus. 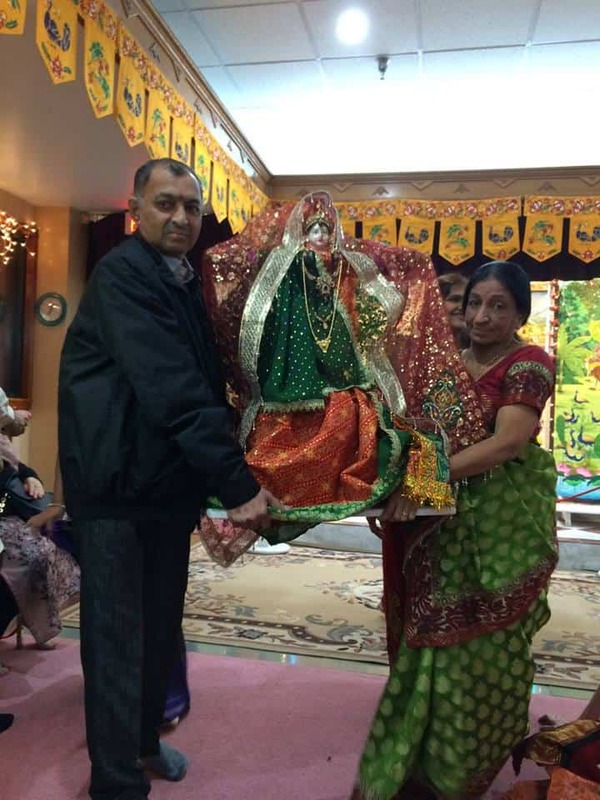 They called upon all the Hindus to resolve their differences and work towards the common cause of Hindu solidarity in U.S.A. The celebration was also attended by the Ambassadors of Singapore, Mauritius and Counselors from Nepal and India. These dignitaries also blessed the efforts of the temple organizers and offered their whole hearted support to the cause. A Mandir is exactly a place where Divine-God is present in spirit. It is a house of God or a place for prayer and meditation. It purifies their mind, elevates their thought and sublimates their very life. They forgot ourselves, get rid of worldly worries and derive much spiritual solace and pleasure, by offering worship in these sacred shrines. 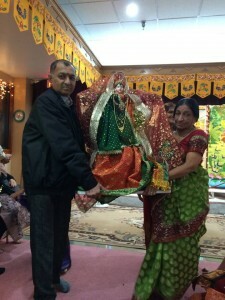 Sri Mangal Mandir Silver Spring is like a power station that stores electricity and distributes it to public. It stores up divine power and makes it available for all who reside in the area in which it is situated. 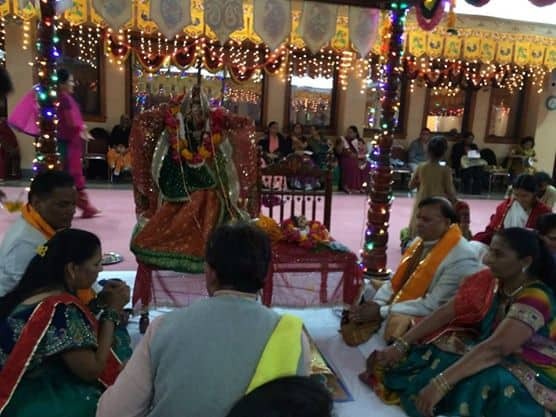 The general objective of rituals in Mandir is to bring down the divine power and grace from the higher worlds to the earth and radiate it for the humanity after transforming it in a suitable manner. Sri Mangal Mandir Silver Spring in popular imagination, is a place of observation of religion which is usually equated with the performance of rites and ceremonies, the holding of certain beliefs, and subscribing to certain tenets. They are the means through which every religion makes its way into the emotional life of its followers. The universal principles of religion become dry and impoverished without them.Their Mandir and images are the strong-hold of their philosophy and religion. They are more than a religious institutions. They are transmitters of their traditions and cherished associations. Their forefathers have left a rich legacy to us in the form of Mandir which continue to represent in essence their cultural heritage. Mandir is a place where festivals are organized to educate the masses in God awareness and devotion. It is the rendezvous of all that is best and holy in the human being-his art beauty, poetry, hearts fervor, charitable tendency, self giving and self sacrifice.